Opening track "I Won't Blame You" commences with two notes followed by the rhythm section rolling in like thunder on a summer day in the mountains, and then joined by guitar chords jangling like Bobby "Fuller's I Fought the Law". Welcome to In Phrases. Welcome to the world of Zebra Hunt, a world where energy, melody, deft writing, exquisite timing and a bit of grit, and a bit plus more of jangle, transport you to places that only good music can take you. You feel the thump of the drums and bass in your chest, the jangling and ringing guitars in your brain and you get blissfully lost in the moment. The Feelies did this for us, The Clean did this for us, The Bats and The Chills still do it. 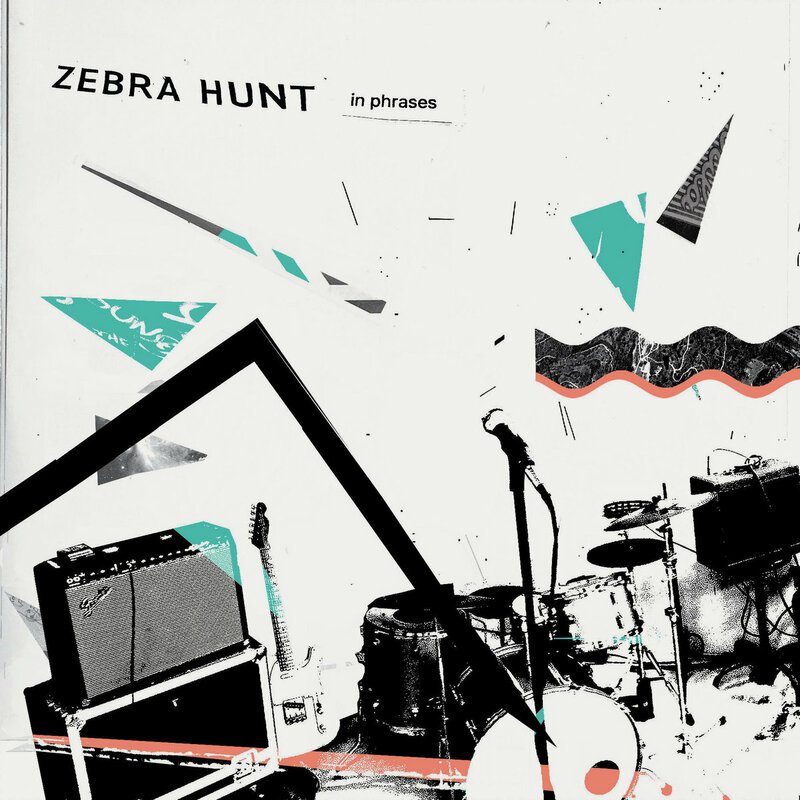 The promise was evident in Zebra Hunt's previous work, but In Phrases puts them on the list. The songs on this album are focused, the stories specific, personal and relateable. We feel the yearning, the lust, the loss, and the regret. The performances are confident -- the sound of a band that believes in what they are doing and believes that we will like it as well. And the execution is as impeccable with mid-tempo songs as it is with the blistering jangle rockers. The bottom line is that in our opinion In Phrases is the best example of New Zealand-style guitar pop not on Flying Nun, Fishrider, Merge or Trouble In Mind (your move labels, your move). If we had the budget, they would be our choice for a house band. As it is, they are a prime example of why we take the time to tell people about indie music. Zebra Hunt, in alphabetical order, are Aaron (guitar), Erik (bass), Mitch (drums), and Robert (guitar/lead vocals). In Phrases is available digitally on Bandcamp, and physically via Jigsaw Records in the US and Madrid's Tenorio Cotobade Records for the rest of the world.